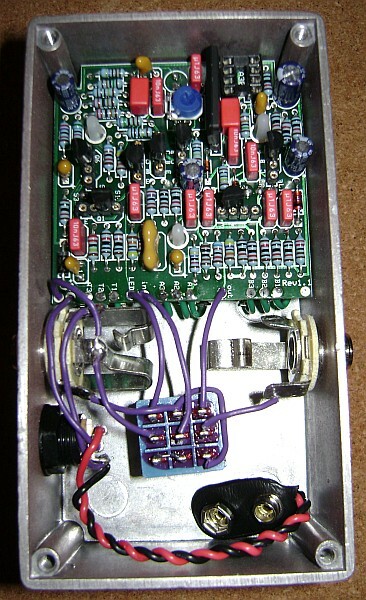 Built from BYOC's 5-Knob Compressor kit. 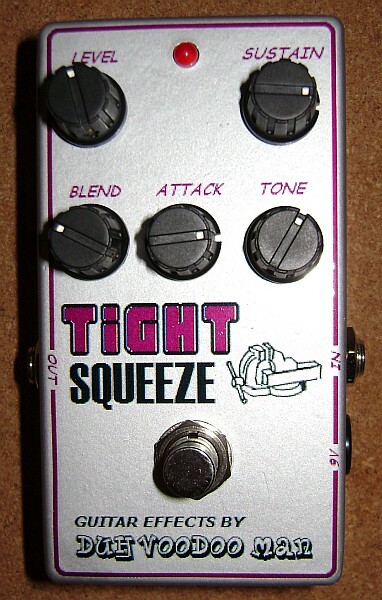 This is a very flexible compressor pedal based upon the vintage "Ross Gray" compressor circuit, but with some added controls. This kit has another cool feature--it comes with both "vintage" and "modern" opamp and transistor sets, so that you can build to either the original Ross specs or take advantage of the better noise performance of more modern components.